I’ve had to learn some things the hard way. After years of exhaustion, of disappointment, of hiding behind my masks, of dark depression, I’ve learned that people pleasing may always be a battle for me. A daily battle. It’s a lie that I believed for far too long—mainly, that approval and love are the same thing. However, as God has peeled back layer after layer of my masks and choices, He has helped me understand that approval and love are not the same thing at all. They are, in fact, polar opposites. I‘m finally starting to realize my worth in His eyes. 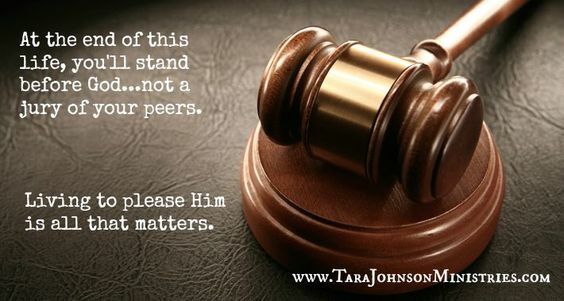 I’m tired of shackling myself to others’ expectations when obeying Him is all that matters. I’m tired of being sucked into a spiral of exhaustion when He has promised me rest. I’m tired of living like everyone else’s opinion of me is more important than His. I have no desire to place people, and their approval, as my idol, my focus or my hope any longer. 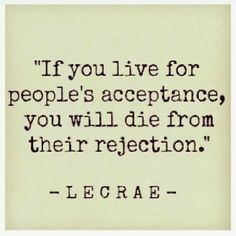 Jesus created me unique for a special, defined purpose, yet for years I gave away that gift and tried to morph and remake myself in a poorly constructed mold, praying I would be accepted. Loved. Esteemed. It failed. Over and over again. Today, I stand here knowing I am loved by the Creator of the Universe. He sees me. He calls me His daughter. He knows my broken, messy self yet still delights in me. And although He has healed and transformed me in immeasurable ways, there is still a broken place inside me that fights the desire for human approval. With all that being said, I confess that being a recovering people-pleaser is hard work. It’s a choice I make each day. I have to be proactive—not just for my sake, not just for my family’s sake, but as a child of the King. Boundaries, saying no, and everything that entails is extremely hard for me. So when I give you a no, even if it sounds timid or unsure, don’t press. 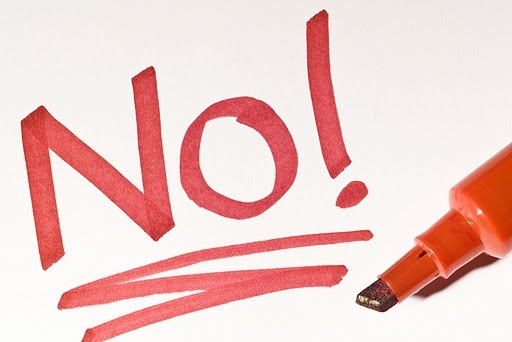 Saying no is quite literally the most difficult thing for me to do. It takes an incredible amount of courage and the only reason I would say no is because I’ve learned how much pressure I can take before I crack. I have no desire to collapse in on myself like a dying star. Not again. I want to be able to help you in the future, but if I don’t find a proper balance of my energy, time and resources, I won’t be able to help anyone. My no, although difficult for me to say, and possibly just as hard for you to hear, benefits us all in the long run. Manipulation and spiritual abuse are no longer welcome. Saying you’re disappointed in me for refusing to help you is manipulation. I may have collapsed under these tactics in the past, but no longer. Telling me God told you that I would be great for a certain job is well and good, but unless God has told me the same thing, my answer will be no. I have a living, breathing relationship with Him, just as you do. When this life is over, I will answer to Him and Him alone…not a jury of my peers. Please don’t shame me, tear me down or hurt me if my need to say no muddles your well-laid plans. Trust me, I have already tortured myself enough with the reality that I can’t undertake the task, despite my desire to have your approval. Lashing out only makes me resentful about the request, angry at you and angry at myself for being manipulated. I cannot be your rescuer. Whenever I say ‘yes’ to something, I will have to say ‘no’ to something else. I have learned that I can’t be everything to everybody. My family is a ministry too—the most important one God has given me. There are only so many hours in a day, so many days in a week, a limited amount of resources and a limited amount of energy. My relationship with God is my priority, then my family. Other things, special projects or passions find their place as God moves and directs through different seasons. Sometimes saying ‘yes’ to something that might be good leaves little room to embrace God’s best just around the corner. 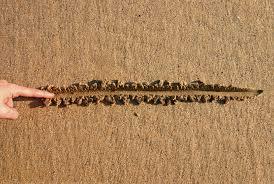 Be patient with me when I have to buckle down on boundaries. Sometimes I turn off the phone because the requests never stop. My battery is empty. My nerves are frayed. My family is demanding my attention. I may have to say ‘no’ or request extended time to pray over a matter. I may even have to turn down several major things that I would like to do because God is telling me they aren’t in His plans…at least, not now. If I have to squeak out a string of no’s, I’m not trying to sound like a two-year old. I’ve merely learned the hard way that it doesn’t pay to fall back into the same old cycles that nearly became my undoing. I must choose wisely. To be healthy physically, emotionally and spiritually, I may need to take a step back from time to time. Be patient. It’s only for a season. Love me, whether I perform well, poorly or not at all. The common ground sought by people pleasers the world over is this: we have a desperate need to feel loved. We search for unconditional love in conditionally minded people. 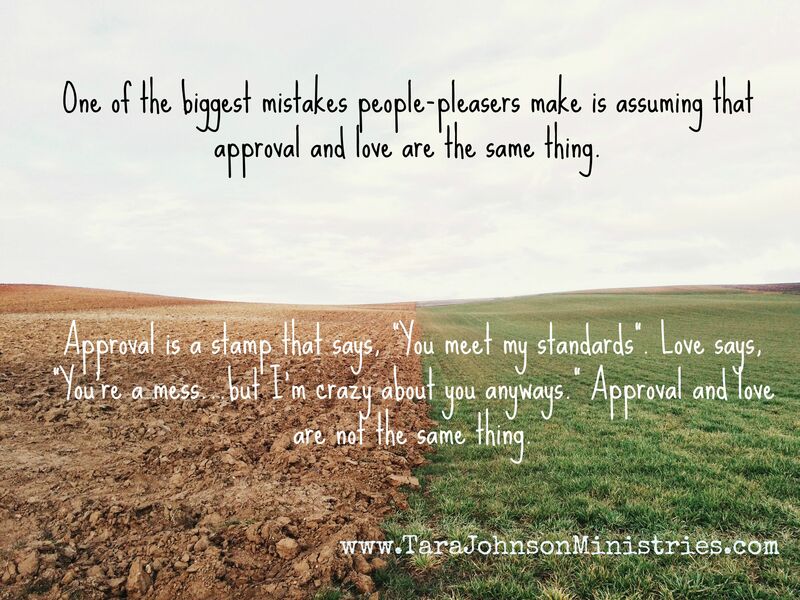 We crave approval, thinking we are unlovable without it. For too long I sought my worth based on what people told me about myself. But all that matters is what God thinks—and He loved me so much, He gave His own life to redeem me from the land of darkness. 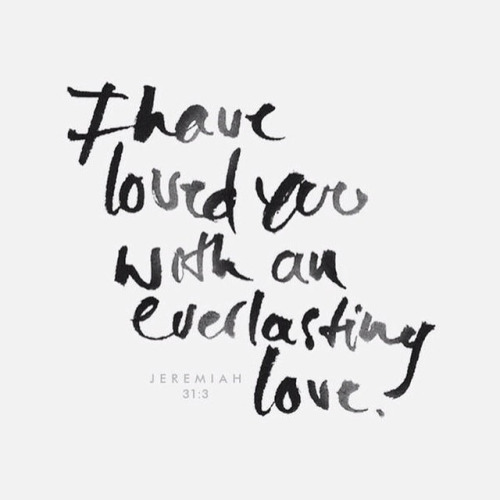 It doesn’t matter whether I’m on top of the world or scraping bottom at my worst…His love never changes. And I’ve discovered this amazing truth is what my heart has been searching for all along. I will fail you. I’m human. I stumble and fall. Despite my failures, my heart has found peace and contentment in my Savior, and I love the friends He has given to make the journey even more joyful. All I ask is that you love me despite my messy attempts to fly. With God’s grace, I’ll love you the same. In true people-pleasing fashion, I ask—is that okay? Amen.a string of nos? Wow, good for you. I rarely put two in a row, let alone make whole string! I am learning so much from you, my fellow RPP! “Boundaries” is my word for the year and since I’ve started looking at everything and asking myself what is best I’ve realized how terrible I have been at trying to please everyone. I’ve gotten myself into so many sticky situations trying to make everything happen for everyone else. This year has been different. Sometimes excruciatingly different but then again freeing at the same time. I say excruciating because it hurts to see someone disappointed when I tell them I can’t do something. I do want to cave. But I have to be firm. I also have my husband and a couple of friends that I can turn to for moral support when I have to stand my ground. Including them in my battle helps me stand my ground when the going gets tough. Having that support system can make all the difference. Awesome!